Here are a few of my favorite books on starting a business. I hope one or more of these might just give you the insights you need to start up a successful indoor golf facility. I wanted to share a few outstanding golf products I've run across doing research on the golf industry. Some of these would make great additions or offerings in an indoor golf facility while others are just great items for personal use. If you have a great product to offer here, let me know. I ran across this and really like it. It is a service you can offer within your store and get a small premium. It makes it easier to offer a wider range of club options for customers. Its also a neat service to use when going on vacation and not having to lug your clubs through the airport. Click the link below to check it out. The SwingShot camera is a really cool idea and a great design. It fits in your bag like any other club and then can be planted in the ground to take video of your swing. 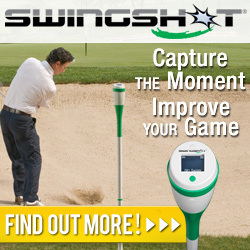 It is very easy to use and can record every swing for later review, analysis or to simply enjoy your great shots. Just awesome.